Serving the sophisticated, affluent residents in and around Westchester County, New York, Westchester Magazine has been the definitive source for all things Westchester for more than a decade. An award-winning glossy monthly lifestyle publication, Westchester Magazine delivers a robust mix of engaging stories on dining, shopping, travel, nightlife, culture, entertainment, education, health, sports – and more. 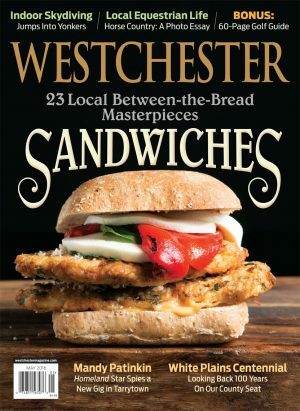 Westchester Magazine is complemented by its three ancillary publications: Westchester Home, a quarterly shelter title; 914INC., a quarterly business lifestyle magazine (which won the 2013 CRMA Award for Best Ancillary Publication); and Westchester/Hudson Valley Weddings, an annual publication. Published by Today Media, a communications company whose regional media platforms reach more than 700,000 consumers, all four magazines and their popular franchises of branded events serve highly educated, successful readers who have some of the largest discretionary incomes in the nation.